Set the mood for the season. 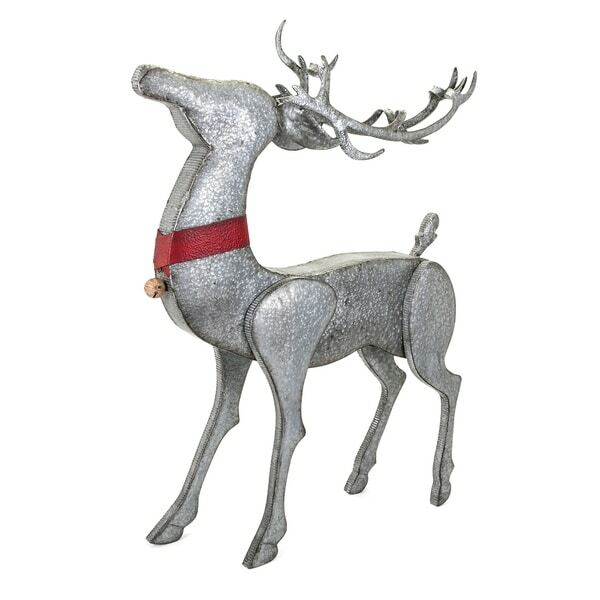 The galvanized metal Homestead Christmas standing reindeer will enhance the ambience of any space and become a seasonal favorite. It's a stylish and festive accent for any home. Dimensions 43.0 In. X 9.0 In. X 59.0 In. A well-dressed mantel is a must for this season. These fall mantel decorating ideas will dazzle guests and give your home a festive fall ambiance. Decorate your home for fall without breaking the bank. With a little creativity and an eye for standout decor, you can bring the beauty of autumn into your home while saving money. Check out these fall decor tips to get inspired. If you've been invited to your first Hanukkah party, you're in for a night of fun celebrations and delicious food. Hanukkah is a Jewish holiday that celebrates family, friends, and a variety of time-honored Jewish traditions. To really wow your hosts and fellow guests, bring them Hanukkah party gifts that they'll truly love. Keep reading for a few ideas on what to bring to a Hanukkah party. Whether you're readying a guestroom or updating your master suite, decorating for fall is all about creating a comforting, welcoming space inspired by the beauty of the changing season.